A marine painting by Gordon Frickers 61 x 91 cm (24″ x 36″), oil on board, this original was a private commission. 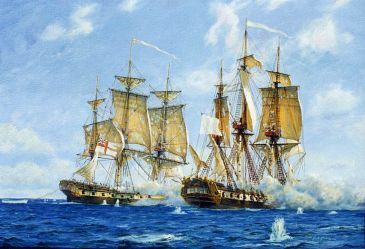 A frigate action in the Caribbean during the American War of Independence. 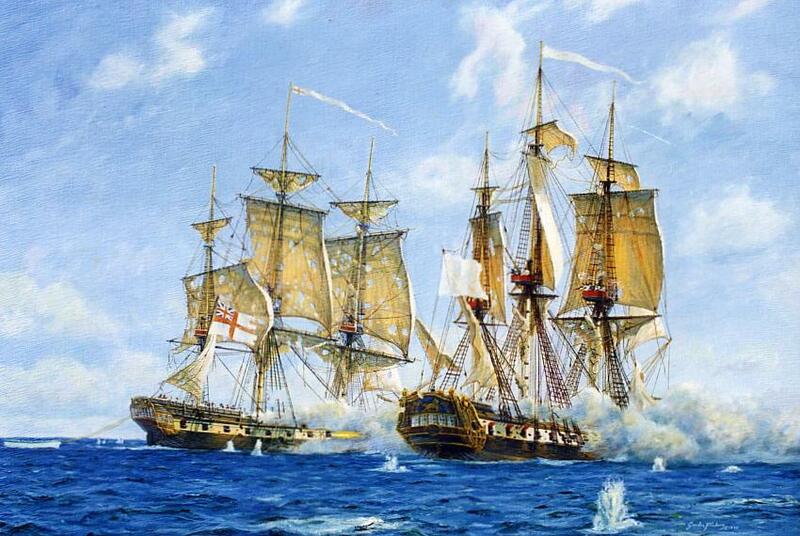 The client’s brief was “I would like a painting of 2 frigates in action, but not one of the well-known actions“. That library has been closed by Plymouth Council, a great loss to Plymouth’s culture and heritage, it was a very fine collection complementing and rivalling Greenwich Maritime Museum with a first class curator.